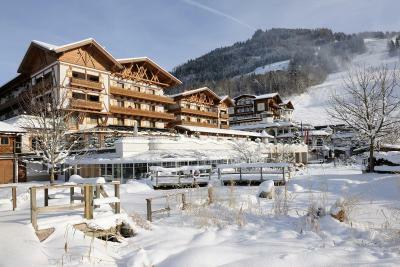 Lock in a great price for Hotel Oberforsthof – rated 9.2 by recent guests! Beautiful facilities -- sun terrace with spectacular views over the surrounding countryside, indoor swimming pool with sauna and steam bath, easy access from pool to outdoor lounge area. Modern, upscale rooms and common areas. Friendly staff, great service. Five minutes by foot to the cable car to the Geisterberg. Hotel is located just few steps from ski slope. Every hotel facility is on the 4*S level. Breakfast is perfect. The hotel was very flexible and really tried to make our stay a memorable one. Nice welcome amenity, and tea anywhere available. I liked that. Our waiter Jan was great and offered his help right away when we were looking into a map, reception charged my phone and were willing to check in early or late if possible. That was really great because they always made an effort no matter what the concern was. Place and location. Cleaness. Brekfast and afternoon snack. 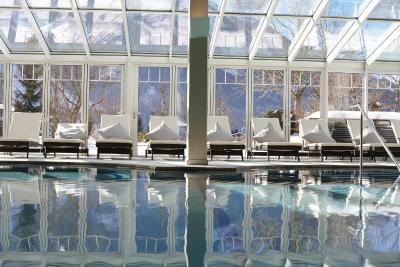 Outside & inside pool. Garden. Parking. Staff. 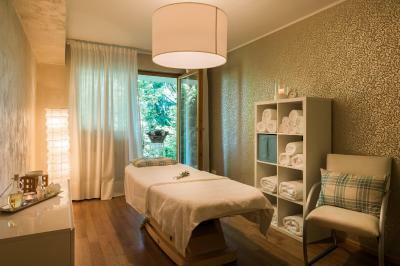 The Spa facilities are outstanding and staff members very knowledgeable and made sure you walk out feeling relaxed and pampered . 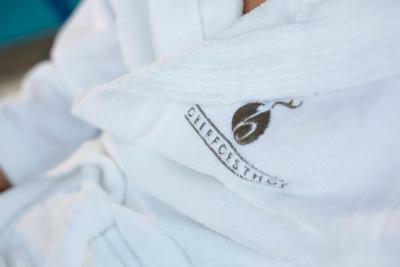 It's definitely a hotel for people who love wellness and luxury. And how awesome are the water beds in the quiet area! The garden is beautiful designed with plenty of space so people don't sit on top of each other. I can't wait to come back here! The breakfast is great. The food in the restaurant is very good. Special charging point voor EV cars! Hotel Oberforsthof This rating is a reflection of how the property compares to the industry standard when it comes to price, facilities and services available. It's based on a self-evaluation by the property. Use this rating to help choose your stay! 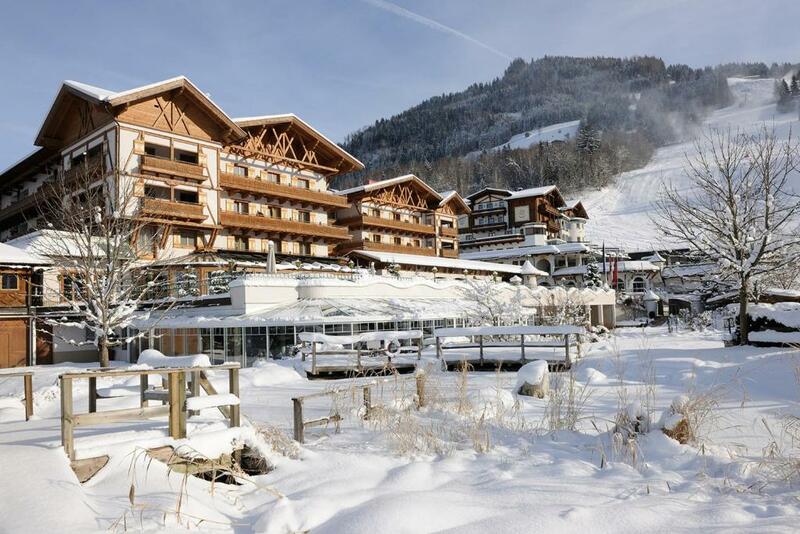 One of our top picks in Sankt Johann im Pongau.Located next to the ski slope in Alpendorf near St. Johann im Pongau, the 4-star superior sports and spa hotel Oberforsthof offers highest quality and excellent service for your summer or winter holiday. 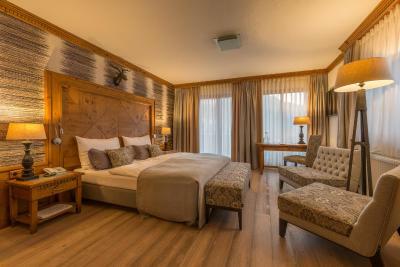 Hotel Oberforsthof features comfortable and elegant rooms and suites, a panoramic indoor pool, and a spa area with various saunas, an infrared cabin, a relax area with waterbeds, and a beauty zone. 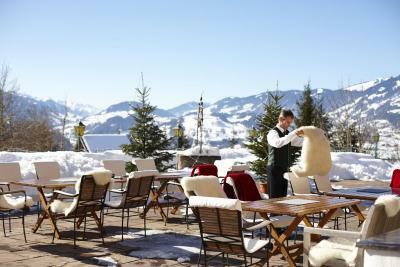 Culinary delights and fine Austrian wines are served in the hotel restaurant. The terrace and the hotel bar are inviting places to relax. Parking in the Oberforsthof's garage is possible at an additional cost. Outdoor parking in front of the hotel is for free. 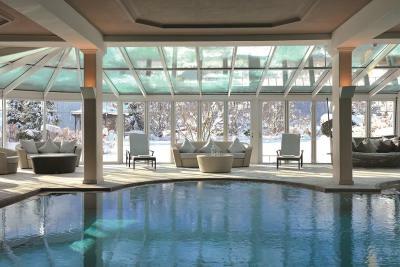 This is our guests' favorite part of Sankt Johann im Pongau, according to independent reviews. 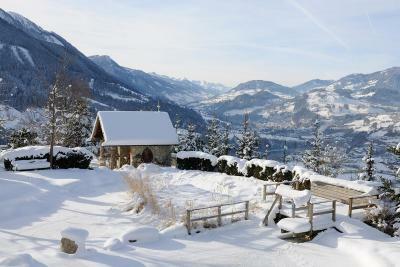 This property also has one of the top-rated locations in Sankt Johann im Pongau! Guests are happier about it compared to other properties in the area. 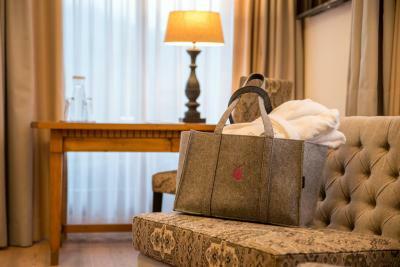 When would you like to stay at Hotel Oberforsthof? These country-style rooms come with natural wooden flooring, a balcony or a patio, a bathroom with bath or shower, and a separate toilet. Amenities such as a safety deposit box, a flat-screen TV and a hairdryer are featured. These spacious country-style rooms come with natural wooden flooring, a balcony, a bathroom with bath or shower, and a separate toilet. Amenities such as a safety deposit box, a flat-screen TV and a hairdryer are featured. The rooms face the courtyard and south-facing rooms are provided upon request. These spacious country-style rooms come with a sleeping and living area, a balcony, a bathroom with bath or shower, and a separate toilet. 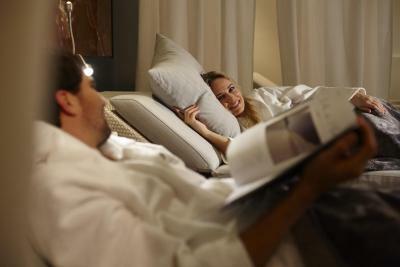 Amenities such as a safety deposit box, a mini-bar, a flat-screen TV and a hairdryer are featured. This spacious suite offers a balcony, a seating area, flat-screen cable TV, and a bathroom with bath tub, a toilet and amenities such as free toiletries and a bathrobe. Parking in the hotel's garage is included in the rate. This single room has a balcony, cable TV and bathrobe. This family room has a balcony, bathrobe and sofa. This family room features a balcony, sofa and bathrobe. 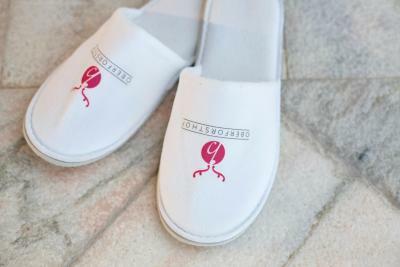 House Rules Hotel Oberforsthof takes special requests – add in the next step! Hotel Oberforsthof accepts these cards and reserves the right to temporarily hold an amount prior to arrival. The quality of the diner food and service is not on the 4*S level and is unfortunately decreased in past years. We would rather have a buffet than five course served dinner menu. Missing iron, kettle, coffee maker in room. I wish the restaurant would change up the breakfast menu. I stayed for 5 days and every morning they offered the same food. Please make it more interesting so people look forward to the next mornings breakfast buffet. No lockers in the ski stall.